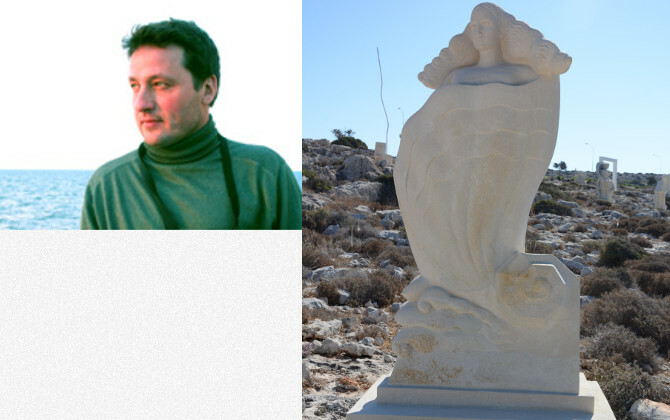 2013 - international symposium of sculptors (Turkey, Antal'ya) (marble). «The Golden Era» (All-Ukrainian competition on the best television program), «the Golden Wave» (Regional competition on the best television and radio program), «the Golden George», «Saint Michaeh «the Georgian Ribbon» (the International competition on the best program in the field of TV and broadcastings on law-enforcement topics), «the Waterparade» (the' International competition of design) etc. His works are stored in Art museums of Ukraine (Kharkiv, Poltava), in the «Berlin Wall» museum (Germany), in private and corporate collections of Ukraine, Russia, Byelorussia, Kazakhstan, Germany, Switzerland, Turkey, USA. In 2000 -Second premium on All-Ukrainian triennial exhibition «Sculpture-2002» (for work «Archer and a muse»). Concept: Aphrodite is the Goddess of beauty and love, born from a meershaum. This composition represents the process of coming out of Aphrodite from a shell to the sandy bank of island Cyprus.